One of the original purveyors of truly hot 9mm Hollow point loads when legitimate widespread use of personal defense ammunition was coming online for the ammunition industry. 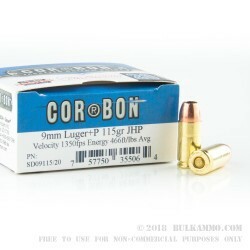 This is the often imitated, rarely duplicated, relatively unchanged, and still innovative Cor-Bon 9mm Luger load in 115 grain weight. 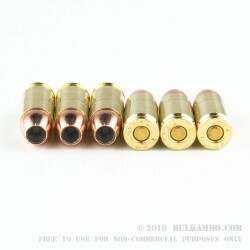 The 9mm projectile is a 115 grain jacketed hollow point bullet that offers excellent performance both in the static ballistics of the round but also after it hits the target, with penetration the deformation and controlled expansion of the projectile. 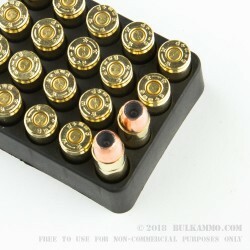 Loaded to a standard that most purveyors of 9mm ammunition are still trying to catch up to, this is an extremely hot load, but surprisingly it’s not recoil heavy. It does have some muzzle flip at the bore exit. The projectile is loaded in a brass cartridge casing that has a clean burning powder and a Boxer primer to make it easily reloadable. This is a +P load that is loaded to an overpressure state. It is NOT COMPATIBLE with some firearms. Be sure your firearm can handle the pressure loads of a +P round before you shoot this in your gun.